The lands of Northern Caltus are consumed by war; a war that has raged for three bloody decades. The expansionist aggression of the Empire of Elriol is only countered by the defiance of the young khan of Korghum Khanate, and the two are loved in a desperate struggle for hegemony. 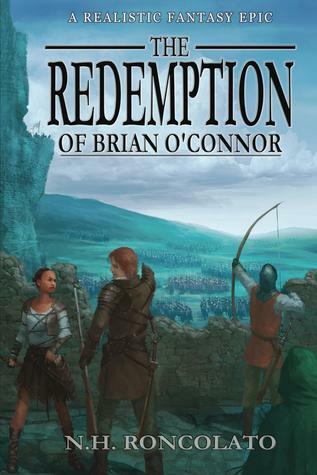 Into this steps disavowed assassin, Brian O'Connor, once a servant but now his own master. A man with a sordid past, Brain seeks the end of Elriol by any means, even if he must bare blade alongside former enemies to see it done. In his quest for retribution against the Emperor of Elriol, Brain finds a deeper meaning to life that values him to question all that he knows. Yet the choices that he makes leave him torn between the retribution that he seeks or the redemption that he needs. His story, one of courage and strength, cunning and sacrifice, will shatter the foundations of Northern Caltus. A new era in the world begins to the gunfire of Brian O'Connor. My word, this book a huge book. Like daaammmmnnn. I actually cannot wait to jump into this book. It sounds interesting and something that I tend to enjoy. I love assassin stories, the way their blades pierce skin like a knife to silk really gets to me. I am also a sucker for action-like books. They always make reading a lot easier. Thank you to the author for sending me a copy of his book. Please note that in no way has receiving this book affected my opinion. All thoughts are my own. The writing in this book is really good but the story is told day-to-day which is definitely affecting my reading pace. Thankfully, when the writing becomes a bit much, something really good and interesting happens and thus renews my interest in this book. Another thing that I loved about this book was that I could put this book down for a little bit and then pick it up again still knowing what was going on. The repetition of events or rather key moments is done so well that you don't find it irritating. It was definitely refreshing. One problem I had was the French. I don't know a hint of French except bonjour and merci. So when it came to the dialogue between our French speaking characters, I had no idea what they were saying and there was no translation available. And if I am honest, a majority of the time I am just too darn lazy to pick up my phone and type in the translation. The plot of this books good! It was filled with action and enticing scenes that call for you to go on. However, there were moments where I found the plot to be slow as it took some time for things to happen. Other than that I thought the plot was well thought of and well executed. 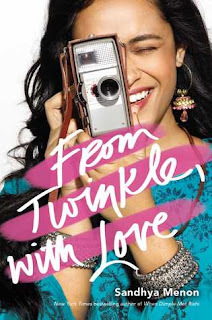 Definitely a book that I would read again! Brian O'Connor is a humble assassin who knows that he is good but doesn't brag, not unless he has to. He is also a really good analyst. He is logical and strategic which helps him during his journey and in situations that are not in his favor. He knows when to talk and comment but he also knows when to be quite and reserved. I thought he was an interesting character to read about. Overall, I thought that this was a great introduction into New Adult Fantasy. I definitely enjoyed the book and see myself picking it up again in the near future! I really loved how the plot unfolded and how the writing just seemed to flow beautifully. Thank you so much to the author for sending me a copy of his book in exchange for an honest review!